The Permaculture Design Principles are a set of universal design principles that can be applied to any location, climate and culture, and they allow us to design the most efficient and sustainable human habitation and and food production systems. Permaculture is a design system that encompasses a wide variety of disciplines, such as ecology, landscape design, environmental science and energy conservation, and the Permaculture design principles are drawn from these various disciplines. Each individual design principle itself embodies a complete conceptual framework based on sound scientific principles. When we bring all these separate principles together, we can create a design system that both looks at whole systems, the parts that these systems consist of, and how those parts interact with each other to create a complex, dynamic, living system. Each design principle serves as a tool that allows us to integrate all the separate parts of a design, referred to as elements, into a functional, synergistic, whole system, where the elements harmoniously interact and work together in the most efficient way possible. Now that we know what the design principles are, and what their purpose is, let us explore each of the design principles in detail. Firstly, to introduce all the design principles we employ in Permaculture, here is a summary list with brief descriptions of each one where necessary, to provide a general overview of the areas they cover. The links below will direct you to the detailed articles on each of the design principles. intrigued & wishing to learn more..
What software was used to make this graphic? Thank you for the informative article too! 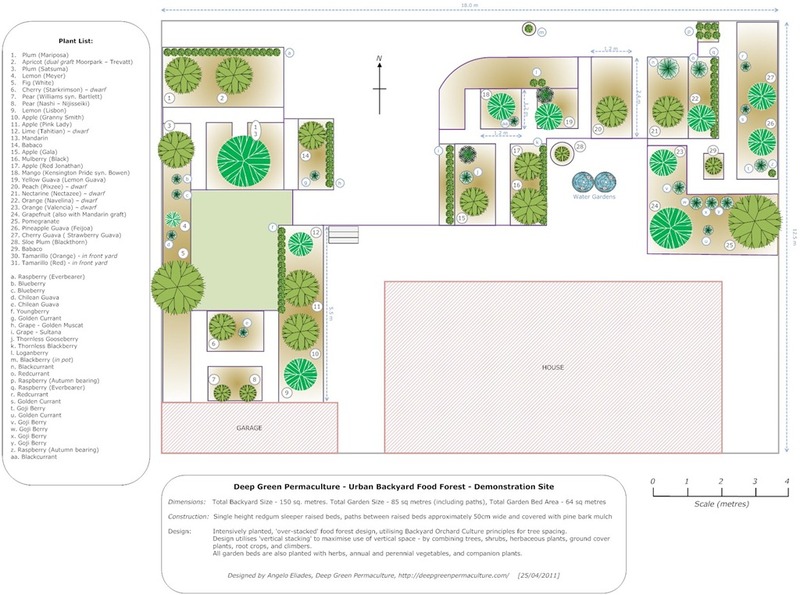 The design diagram was drawn with SmartDraw software. Thanks for posting this. I am trying to apply these principles in designing my homestead kitchen. And I really enjoyed seeing your garden on Geoff Lawton’s video. Do you have any other ideas or sources for info on permaculture kitchen design? Thanks for your comments, I’m not aware of any sources of information on a permaculture kitchen design, but there’s lots here that you can apply to any type of design. A few ideas, you can use the system of zones, the appliances used most frequently and areas for tasks that are carried out most often need to be made the most accessible, the infrequent in less accessible places. Plan your storage in a similar way, put a kitchen cupboard in that hard to reach spot to store that specialised kitchen appliance that might come out once a year. Go vertical, use vertical space to extend your storage capabilities. Use overhead hooks for hanging items such as utensils or braids of garlic. Look at the requirements of each type of storage – food pantries should not be located against external walls that get hot in summer, keep the food cooler naturally and extend its storage life. Having strategically positioned recycle bins for recyclable waste such as plastic or paper products is important, as is having a convenient place to hold a container with lid to place kitchen scraps for your worm farm or compost bin. Will you use a bokashi bin (or two) to recycle kitchen scraps that can’t go in the worm farm or compost bin? Design a place to locate these when working out your kitchen bench design. Will you ever be drying herbs? They need a shady well-ventilated area in the kitchen to dry (as direct sunlight makes them lose their aromatic oils), you can either make a rack to hang then or bench space to lay trays out. You can get very creative, co-founder of Permaculture David Holmgren has a demonstration property and home, his food pantry uses natural cooling by venting cool air from an underground vent through it, so its naturally a few degrees cooler and that allows him to store food items such as fruit and vegies that would normally go in the fridge, so he can use a smaller fridge and use less power. Hopefully this gives you some additional ideas, sounds like an exciting project! Thanks! Great ideas and I have never heard of a bokashi bucket so I looked it up. Hi Angelo. Love your simple, easy and common sense explanations. I live in a temperate climate zone in México called Atlixco, Puebla. We have a 3.7 acre greenhouse and I was wondering if the permaculture system can be implemented inside the greenhouse under those conditions? I know is a very different method but would love to grow organic and use this system. Sometimes we have some frost and sudden temperature drops near our winter. This is not too often, but we have to consider it. Do you think it can be profitable in an industrial permaculture, organic scale? (maybe mix method or so?) Thanks in advance for your comments. I was looking at your design and thinking “how unfortunate the garden is being shaded by the house” and then I realized you’re in the Southern Hemisphere. 🙂 Very nice!